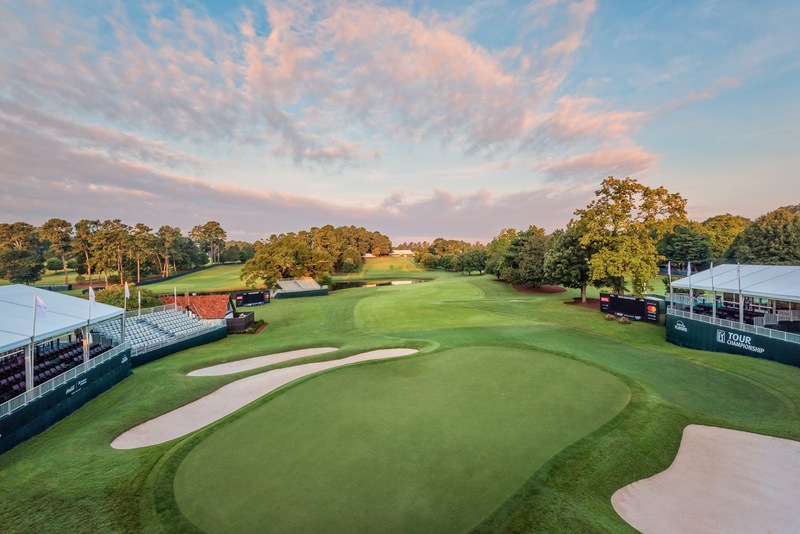 Agronomy volunteer registration for the 2018 TOUR Championship is officially open and our Agronomy Staff here at East Lake could not be more excited. Each year a new team assembles here at the end of September to help achieve the agronomic goals set forth by the PGA TOUR. As a department we make an exerted effort to ensure that ALL of our volunteers have a “Once in A Lifetime” experience. Opportunities to network are in abundance, and we always strive to ensure our volunteers have a learning experience while attending. It is important to us that we create a comfortable, relaxed, enjoyable experience for all of our guest while developing the camaraderie that binds our team together to create tour quality conditions. The 2018 TOUR Championship will be hosted at East Lake Golf Club in Atlanta, Georgia from September 17- 23 so sign up soon using the following link to ensure your spot. We generally accept around 75 volunteers and prefer our volunteers to work with our team for the entire week. We understand not everyone is available for the entire week; therefore, all-week attendance is not required for selection. TOUR Champ Volunteer Video 2018 from Turf Republic TURFTUBE™ on Vimeo. Shuttles from and to the airport. Shuttle service to the agronomy department in the morning and back to the hotel at night. o Games: darts, horse shoes, golf games, corn hole, other fun stuff! Our Agronomy team strives to improve the volunteer experience year-over-year and we are looking forward to what the 2018 Volunteer Program has in store. Your dedication and help are the reason we are able to achieve our goals and we cannot thank you enough for your support. We look forward to seeing you at the end of September.